This photograph was taken a few days ago on the way to the station at the time of the super moon – just as it was setting – the sun was just starting to rise directly behind me. I love the subtle purple colours in the sky. 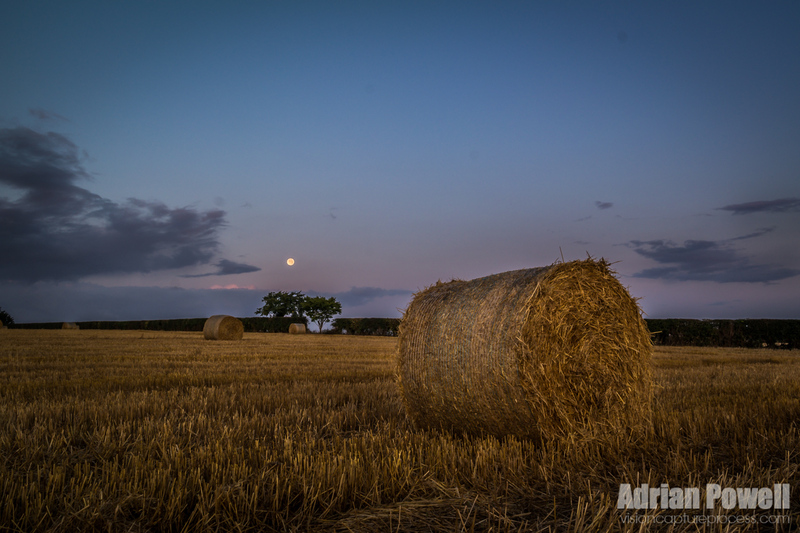 Not much post processing done here except to lift the exposure, apply a gradient on the sky and lighten the hay roll. Taken with the Samsung NX300 with a tripod.